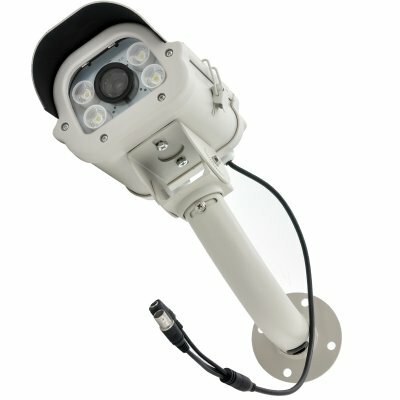 Successfully Added 1/3 Inch SONY Color CCD License Plate Capture Camera - 650TVL, 4x White LEDs, 20 to 25 Meter IR Light Range to your Shopping Cart. 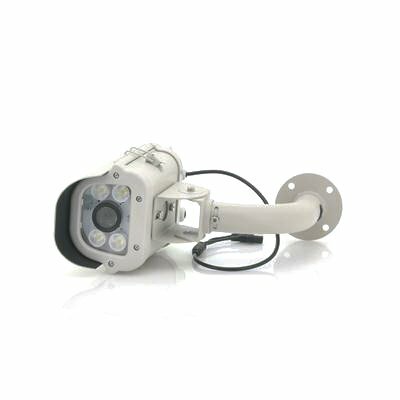 1/3 Inch SONY Color CCD License Plate Capture Camera is the ultimate solution of capturing everything even the numbers on a car’s registration plate as it has a resolution of 650TV lines, four white LEDs and a 20 to 25 Meter IR Light range. Using a 1/3 inch SONY Color CCD image sensor, this plate capture camera has a horizontal resolution of 650 TV lines that results in a sharp and clear image. Perfect for setting up outside the entrance way of your home or workplace, rest assured night or day that the 1/3 Inch SONY Color CCD License Plate Capture Camera will focus on the license plates of the vehicles entering your premises. Also present on this camera is Automatic gain control (AGC), automatic backlight compensation and auto white balance. In stock now, we guarantee that this 1/3 Inch SONY Color CCD License Plate Capture Camera can be dispatched within one working day with a 12 months warranty. Brought to you by the leader in electronic devices and wholesale Outdoor IP Cameras, Chinavasion.